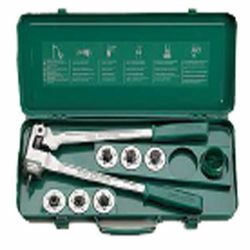 * Complete with expander – plier & 6 heads in practically and handy box. * Complete with expander – plier & 6 heads in practically and handy box. * To cover all inch size tubes of 3/8”, ½”, 5/8”, ¾”, 7/8”, 1”* A high quality product from Refco, Switzerland.